shelf & 4 drawers have 75 kg UDL. Extra storage perfo door. 10 year guarantee and free delivery! 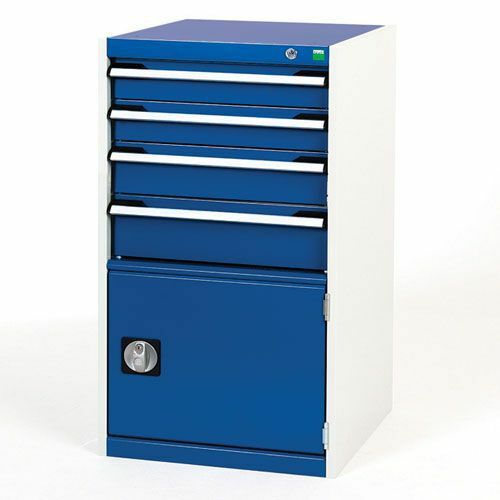 Bott Cubio combination cabinet, with perfo door, shelf and multiple drawers HxWxD 1000x525x525mm.